Taylor Wesley, a junior at Auburn University, learned the powerful meaning of “Ubuntu” while hearing the story of the Amy Biehl Foundation. Check out her blog below! I came into this trip not knowing much about it other than the fact that I wanted to go to Cape Town. I have only been here for four days and it has already been revealed to me why I truly was chosen for this trip. This past year has been a roller coaster for me, and God has blessed me with this amazing opportunity since helping me overcome my demons. Yesterday was one of those days that I will remember for the rest of my life. A man came to speak to us about the Amy Biehl Foundation and what it is all about. He told the story of this amazing selfless girl who came to South Africa to help others, and her tragic death that turned into something so beautiful because of the forgiveness of her parents. 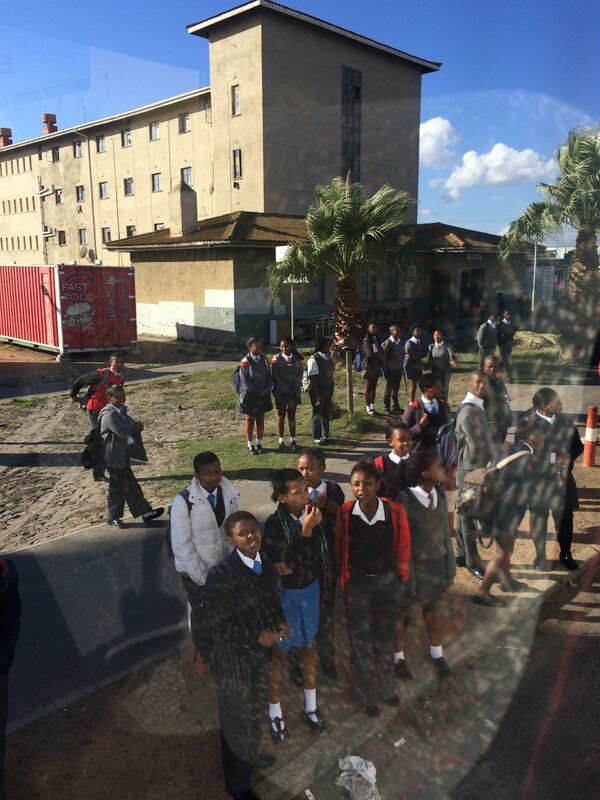 The program has saved and changed so many lives of the children of Cape Town. There was a profound moment when I asked the man why he chose to lead the Amy Biehl Foundation, and his answer impacted me greatly. When he was speaking to me everything else in the room disappeared, and his words sounded like echoes in my ears. He was looking straight at me and could see the tears forming in my eyes. He said that he follows his life by one word, Ubuntu, which means to carry the essential human virtues compassion and humanity. His passion was to treat everyone as equal and to gain through giving to the community, to bring those who are in darkness into the light along with all of his/ her brothers and sisters. I discovered my passion this year from something that seemed so horrible at the time. It’s amazing to see how God uses darkness to bring us together and bring us into His light. This past year I have been shown that everyone is equal and everyone is a child of God in this world, no matter what color, religion, background, or qualities. If we all strived for Ubuntu I wonder what life would be like? Everything would be so easy! There are even differences between the people on the trip even though to South Africans we all might look like the same American tourists. But all being put together in a vulnerable spot has brought us closer on an intimate level that I have never seen before. This world, and what it can do blows my mind. Cape Town is so breathtaking and I cannot wait to continue growing with these amazing people.